Martin is primarily a sports journalism lecturer and teaches on the MA Sports Journalism. However he also teaches on a range of undergraduate print and online journalism modules. Journalism: Martin was a journalist at The Star, Sheffield for 25 years before joining the SHU journalism team. He continues to write a sports column and food reviews for the publication. 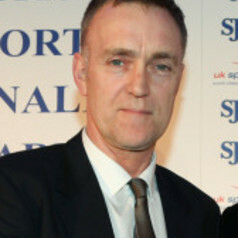 He has worked across news, sport and features and was the Yorkshire Journalist Of The Year and Yorkshire Feature Writer Of The Year in 2010; three times Sports Journalism Association Regional Journalist Of The Year; four times Yorkshire Sports Journalist Of The Year and Press Gazette Sports Writer Of The Year 2003.